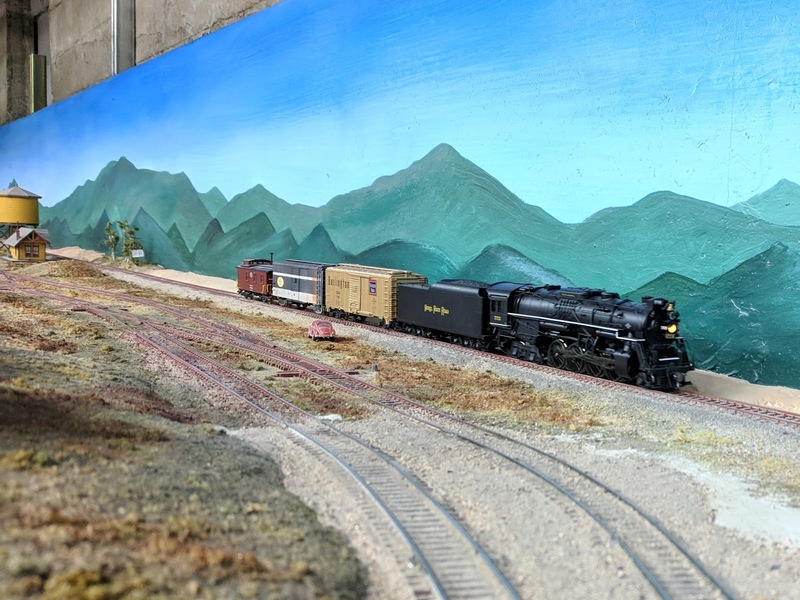 NKP "Berkshire" #772 is leading train 99b, the "FastMail", through Mt. Marvell on the way from Bakersfield to Nowheres. 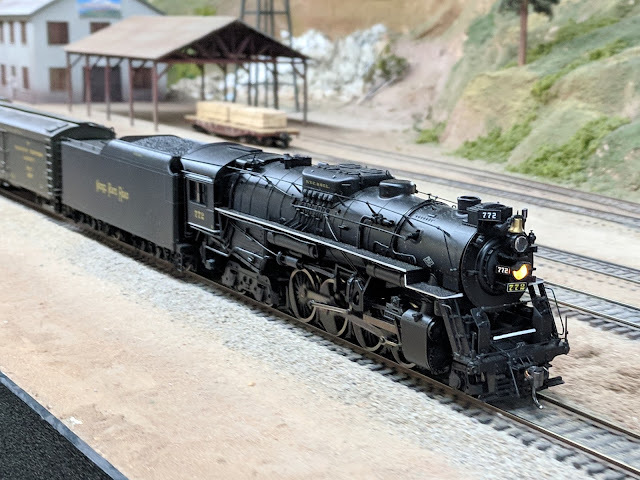 The Berkshire class locomotive took over the train in Dayton after the originally assigned SP #4349 had trouble with negotiating the grade from Bakersfield staging to the main level of the layout and was set out in Dayton. Train 99b dropped passenger cars and mail cars in Nowheres and continued with a much smaller consist to Tracy where it terminated. I had to leave early, so this was my only assignment tonight. A guest engineer was on the throttle and I was conductor. Due to the initial engine problems the train ran well behind schedule and had to deal with a lot more opposing traffic than in its normal slot. When clocking out we had spent over 70 minutes on this run. This was a busy session with lots of activity on the railroad and kept Dispatch on their toes.